Hedge fund mogul Steven Cohen has reportedly listed his Manhattan duplex apartment for $115 million, which would make it the most expensive apartment in the United States -- if he gets his price. The apartment is in the One Beacon Court condominium. 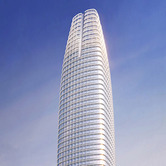 After years of debate and delays, construction officially started this week on the Transbay Transit Tower complex, an elaborate mixed-use project which will include San Francisco's tallest building. 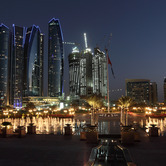 The project is based in the heart of the city. InterContinental Hotels Group Plc has sold its London Park Lane Hotel to a Middle Eastern investment group for $457 million, a 62 percent increase of its net book value at the end of 2012. 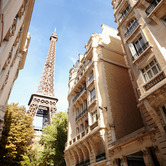 InterContinental, the world's largest hotel-room provider, will manage the hotel. 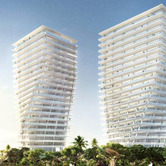 One of Miami Beach's iconic hotels is poised to make a comeback with new owners. 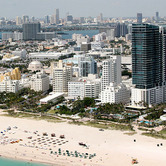 The Blackstone equity group sold the Miami Beach Resort and Spa for $117 million to a company controlled by Jacob Chetrit, according to a recent press release. Aseana Porperties Limited is opening the world's largest Aloft hotel at its Kuala Lumpur Sentral development in Malaysia. 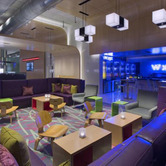 Under the Aloft brand, the hotel is managed by Starwood Hotels & Resorts. It is located next to KL Sentral Station, Malaysia's largest transport hub. The number of foreclosures completed in the United States fell 19 percent in February from a year earlier, providing further evidence that fewer homeowners are defaulting on their loans. The 54,000 foreclosures in February were down from 67,000 in February 2012. 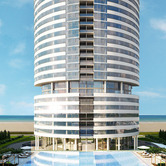 Sales officially started this week for apartments in the Trump Tower Punta del Este, the latest attempt to extend the Trump brand to far-flung locales. The project in Uruguay's most popular tourist destination is the first to carry the Trump name in South America. The line stretched around the corner from the Colony Theater on Tuesday night, another sold out show in Miami Beach. Some people without tickets waited for an hour hoping a seat might open up. The headliner this night was Bjarke Ingels, the Danish architect. Comedienne Rita Rudner has listed her home on the Monarch Bay community in Dana Point, California, for $8.975 million home, and she's including free tissues in the deal. In a marketing effort to promote the deal. 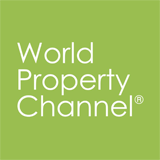 China reported a steep drop in both occupancy rate and revenue per available room in February, according to the latest data from STR Global. 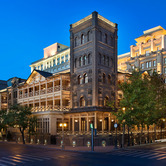 Occupancy fell 19.9 percent to 48.9 percent, and revenue per available room, dropping 13.8 percent to $52.49 in February 2013. 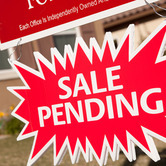 The National Association of Realtors' pending home sales index slipped 0.4 percent in February from a month earlier, as the lack of inventory started to impact the market. The index fell to 104.8 in February, which still represents an 8.4 percent increase from a year earlier. 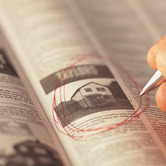 Sales of new homes in the United States fell 4.6 percent from the previous month, but still posted the second highest total since April 2010, according to new data from HUD and the U.S. Census Department. 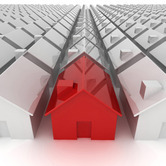 A seasonally adjusted total of 411,000 units were sold in February. 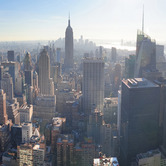 An interesting phenomenon has developed in New York's property market, which operates differently than the rest of the world. 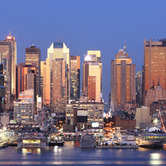 Residential prices remain in the stratosphere, while office prices are still down to Earth. 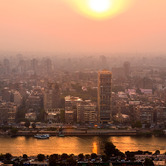 As the Egyptian government struggles with political and economic instability, the Cairo real estate market reports improvement in all sectors. 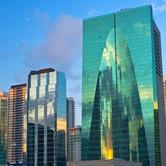 Vacancies in Grade A office buildings slid to 20 percent for the first quarter, a decrease from 29 percent in the fourth quarter of 2012. Carey Watermark Investors of New York purchased a Courtyard by Marriott hotel in Pittsburgh for a total investment of about $34.6 million. It includes a purchase price of $29.9 million and $4.8 million in planned improvements and related costs, according to Commercial Property Executive.